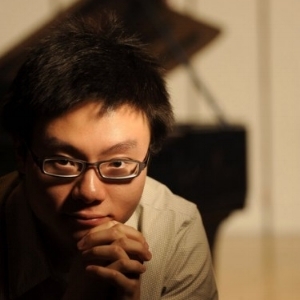 An emerging young pianist, Yu Zhang appears in concerts across the United States and China. He won first place in the 2010 Music Teachers National Association’s Young Artist Piano Performance Northwest Division Competition and was one of the six finalists in the National Division. He also was awarded first prize in the Snowy Range Piano Competition and was a semi-finalist in the Seattle International Piano Festival and Competition. Most recently Zhang was featured as a soloist with the New World Symphony as a winner of the New World Symphony Concerto Competition. He also has performed concertos with the Shanghai University and the University of Wyoming symphonies and the National Repertory Orchestra. In addition to his achievements in piano performance, Zhang has served as principal organ and artist-in-residence at St. Matthew’s Episcopal Cathedral in Laramie, Wyoming, and United Methodist Church of Chagrin Falls, Ohio. After two years of studying management science at Shanghai University, he was granted a full scholarship at the University of Wyoming where he received his bachelor and master of music degrees as a student of Theresa Bogard. Under the tutelage of Paul Schenly and Kathryn Brown, he earned a doctor of musical arts degree in piano performance from the Cleveland Institute of Music. He was a piano fellow with the New World Symphony, where he performed on piano, organ, harpsichord, and synthesizer in weekly concerts. The principal keyboard of the Omaha Symphony for the 2015-16 season, Zhang performed with the Orchestra in more than 200 concerts and presentations. A devoted pedagogue, Zhang joined the piano faculty of the New England Music Camp in 2015 and has presented master classes at universities throughout China.